Ok, recon ride is complete and cue sheets are being finalised. There's only one week to go so let's talk options. For reference, we took about 7 hours to do the full 100km on our recon ride. That includes a bit of faffing around and a sit-down lunch at Toolangi Tavern. 6-7 hours would be a fair estimate of how long it might take you to do the full 100km. If you plan on riding hard and aren't scared of a bit of climbing, revise that estimate down. If you're planning to take it a bit easier or if you've got commitments straight after the ride, I'd seriously consider the 50km option. The 50km is still a great route, it's got some solid climbs and screaming descents, it's got some incredible views of the Yarra Valley and visits some awesome roads but it will have you back in Hurstbridge a good few hours before the 100km option. Both options are solid rides in and of themselves but the longer option may have you in the middle of the bush by yourself after dark if you discover, too late, that you're over-committed. No need to decide right now - you can leave it 'til about kilometre 30 on the route before you have to decide which way to go - so see how you're feeling on the day, be honest with yourself and make sure you ride within your limits. That way we'll all have fun! Remember to watch out for friendly goats, curious alpacas and, my favourite, goofy lyrebirds. 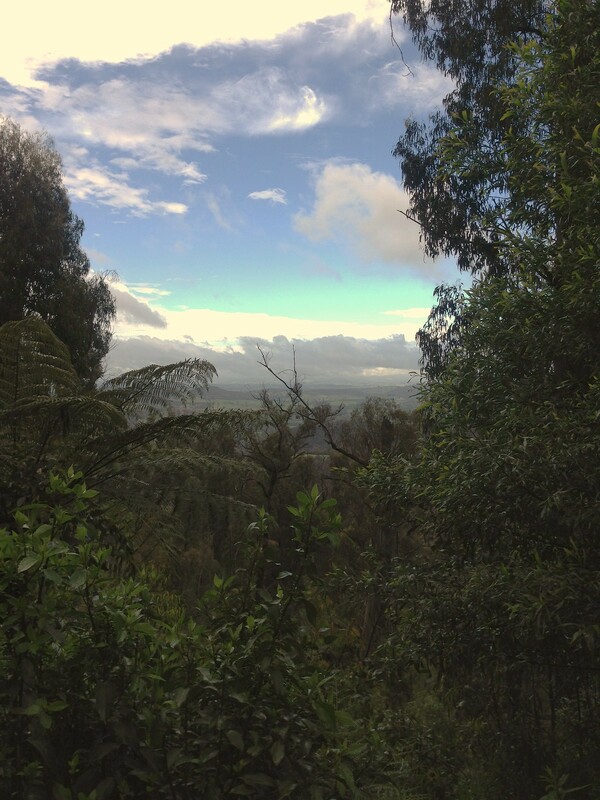 We saw two lyrebirds on our recon ride - that's some good juju right there! Oh, and remember, it's on the Saturday this time. Saturday 26th, 9:00am, Hurstbridge Station. daaamn the Tavern looks fantastic! Methinks not on the 50km route though..
Nope, Toolangi Tavern is for 100km riders only. 50km riders get to refuel at Kinglake. As much as it pains me, I won't be riding with you on this one. Bloody sickness. See you next time. Bummer! Hopefully see you for night grinder - book it in with the fam early! Only wildlife I saw was dead - two wombats and a roo. I saw at least three rabbits though. Thanks for the amazing ride - I enjoyed it so much I wish I could do that every weekend. Looking forward to the next one!